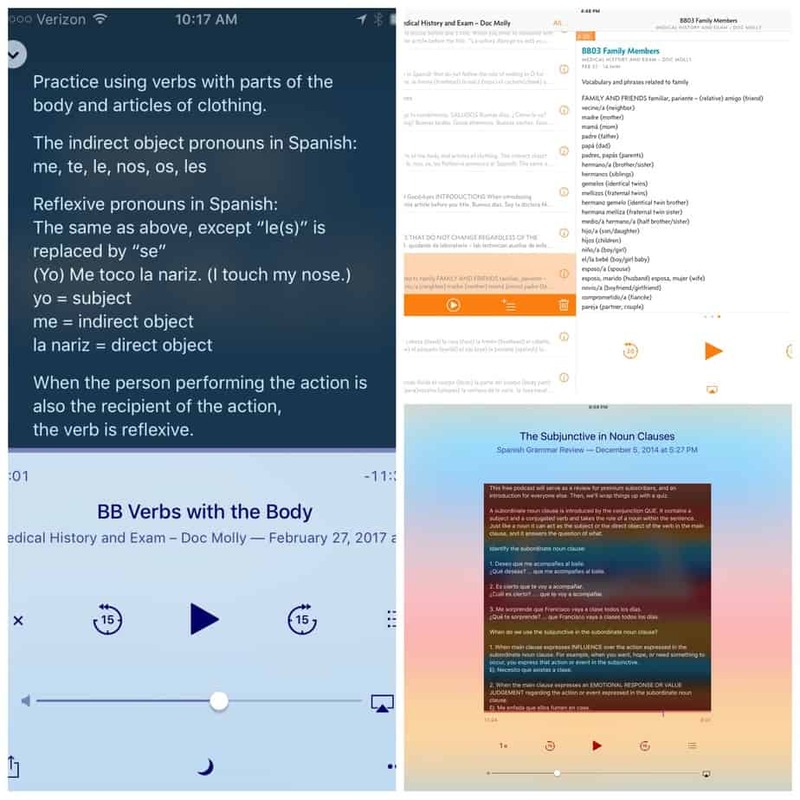 Here I answer the most frequently asked questions with screenshots of docmolly.com in action. I explain how to access premium audio lessons on the site or through podcast feeds (scroll to Learn on the Go). If you still have a question, contact me and I'll reply within 24 hours. To access your premium content, log in at the Member Home. The Member Home will contain a list of your subscriptions and a link to your Profile Page where you can change your password or view your order history. After logging in, the links on the Medical Spanish and Spanish Grammar pages will now go to Member Pages. On each Member Page, you will see a podcast feed player like the one below. Premium lessons are numbered. When you click on the blue title link at the top of the player a new window opens with the show notes. Here you can leave feedback and ask questions. 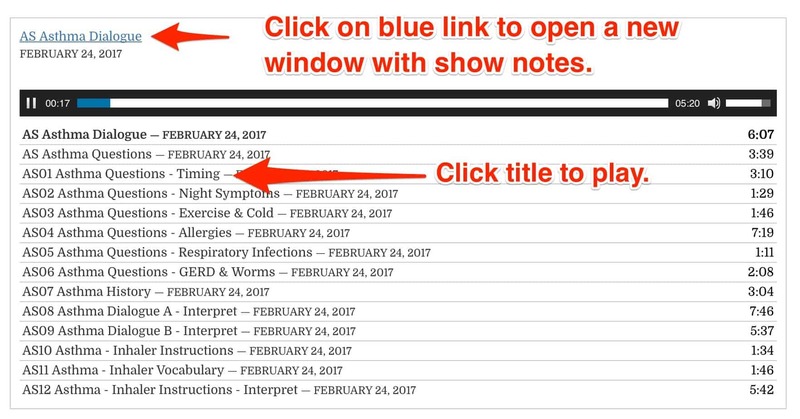 You can also view show notes from the member page using the links to their PDFs. You can change your email address and/or password on the My Profile page. You will also see your transaction history here. 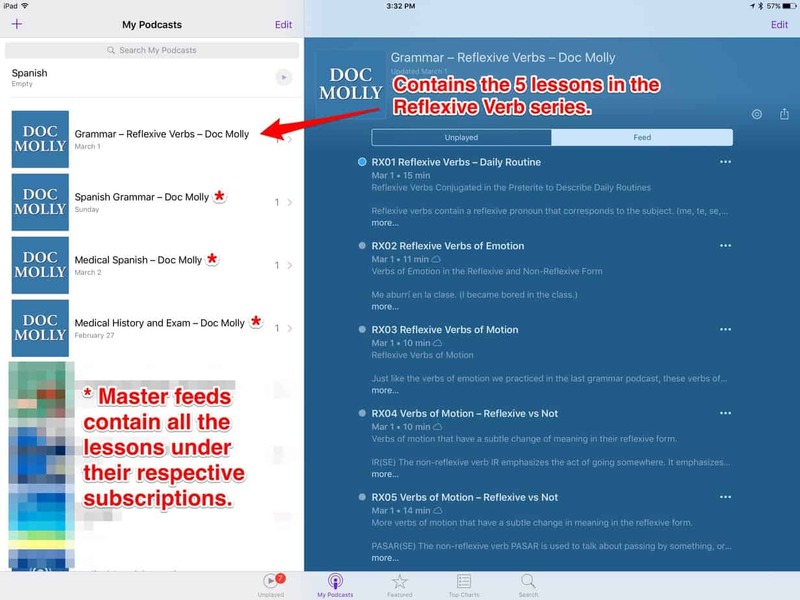 Subscribing to your premium podcast feeds (RSS feeds) is a great option for those who want to download lessons to their phone or tablet for learning on the go. 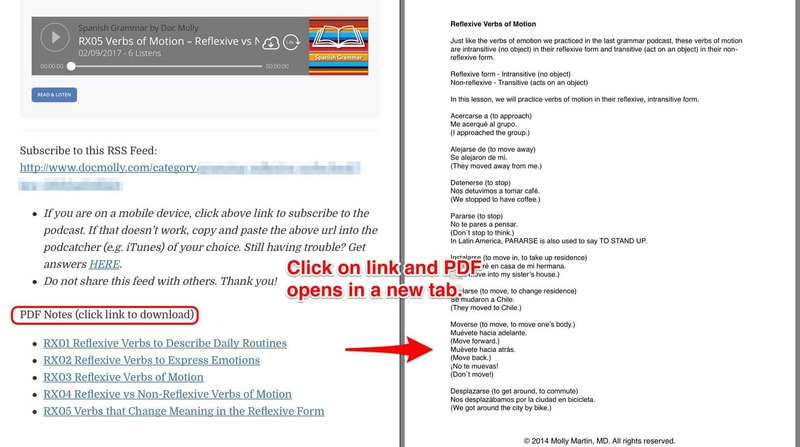 When a new lesson is added to a series, you automatically receive it through your feed. YOUR PREMIUM FEEDS ARE FOR PERSONAL USE ONLY. THANK YOU FOR NOT SHARING THEM. Each feed contains a key unique to your account. Do not use your password to subscribe. Overcast (iOS + web): Tap the + button in the top right. Then tap “Add URL” in the top right, paste the feed URL (top right), then hit done! 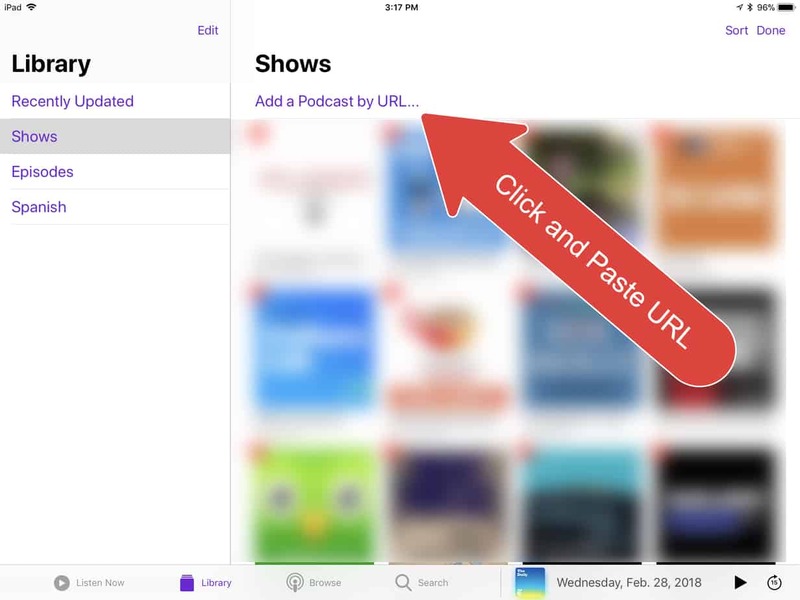 Podcasts (iOS) The graphics below show how to add a podcast URL in the Podcasts app on an iPhone or iPad. 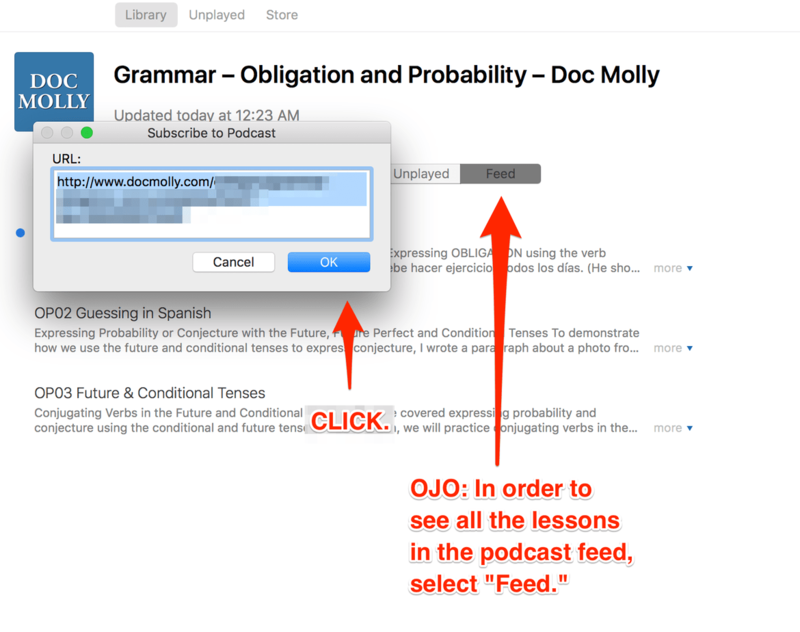 OJO: Look for this artwork to confirm you are looking at a premium feed, and not one of the free podcasts. On most smartphones and tablets, all you have to do is click the podcast feed URL to subscribe. If this doesn't work use the copy & paste method described above. The graphic below shows what it looks like on an iPhone using the Podcasts app. OJO: Your iPhone may first ask if you want to open the page in News. Click "Open". It will then automatically redirect to the Podcasts app. 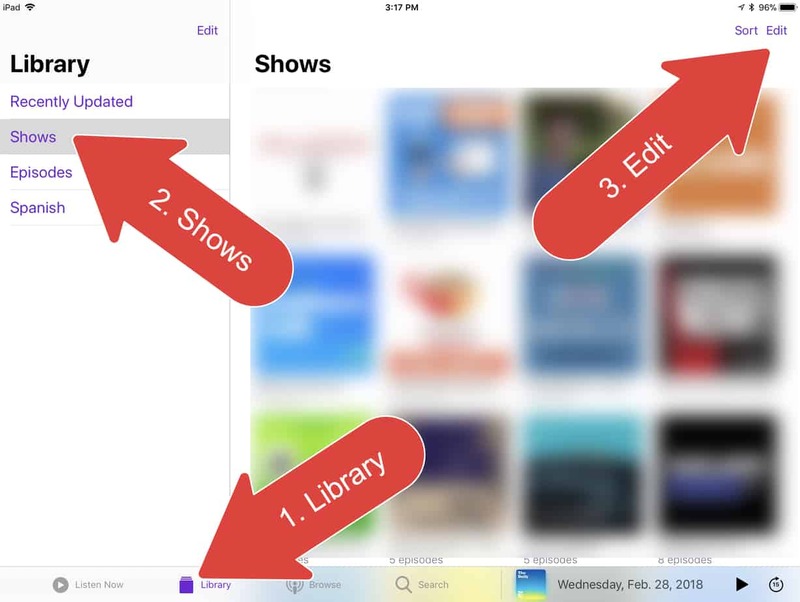 The video below shows you how to use the Podcasts app, to download all the lessons in a podcast feed, organize the lessons in chronological order, and prevent lessons from automatically being deleted. Many podcast apps (e.g. 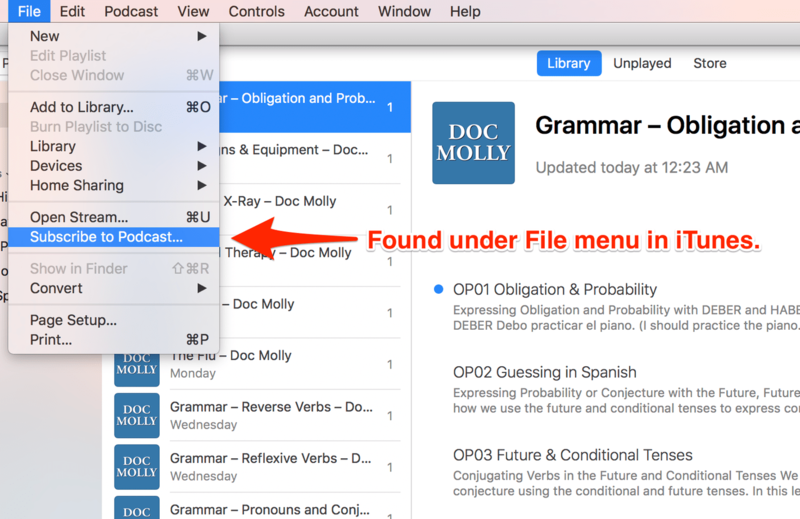 Podcasts, Podcast Addict, Overcast) make it easy to view show notes as you listen. 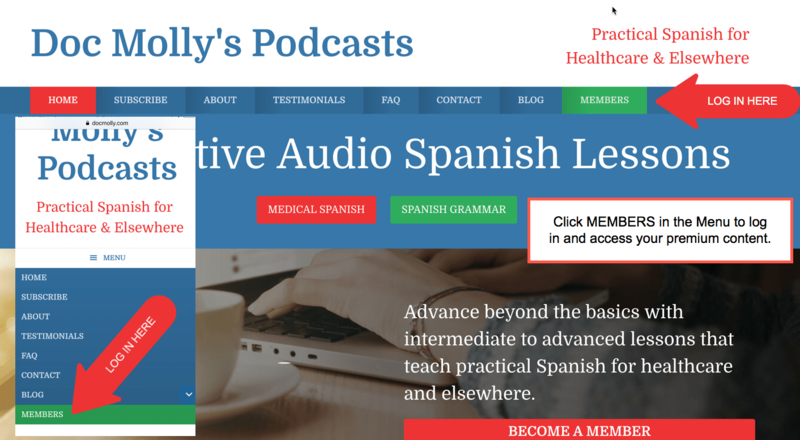 If you are a Medical Spanish or Spanish Grammar member, you have can subscribe to your master feed, which contains all the podcast series under your subscription. With the master feed, every time I add a new audio lesson, you'll receive it in your feed. You can also subscribe to individual series feeds containing only the podcasts in a specific series (e.g. 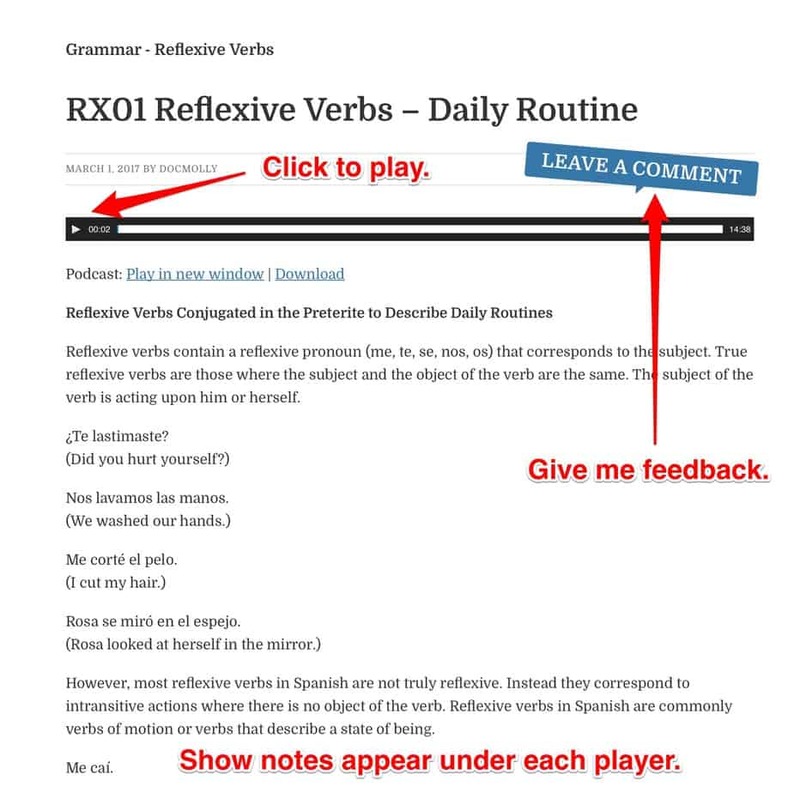 Reflexive Verbs). You will find your master feeds on the Medical Spanish, Spanish Grammar and Medical History & Exam member pages and in the Member Home. Here's how to subscribe to a premium podcast in iTunes on your computer. Paste your premium podcast url in the window that pops up and click OK to subscribe. Still Have a Question? Send me an email.